Looking for a way to get your children or students up and moving? Yoga is a great mind-body practice that children and adults alike can enjoy. Let the imaginations run wild when pretending to be animals in various yoga poses. Greet the sun with a series of poses to jump-start the morning. Calm the mind and the body before laying down to rest. 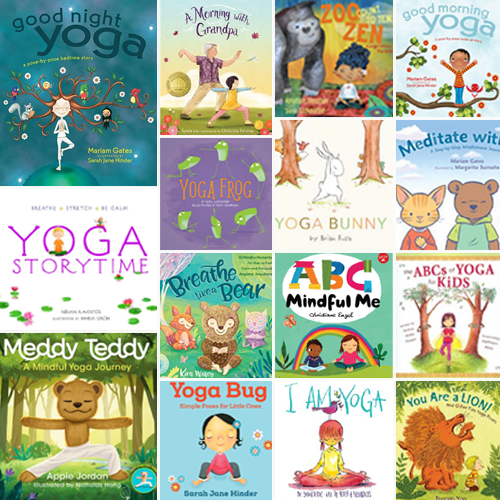 These 15 yoga books will introduce yoga to children in interactive and playful ways to open up possibilities of mindful movement and thought. 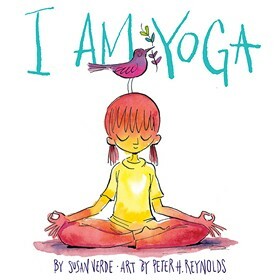 Children will be able to connect with their peers and loved adults in their life with these yoga books. 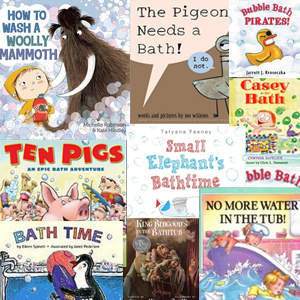 This book list is intended for children ages 2 to 12. Follow a young girl as she does a series of yoga poses in order to help make sense of the world around her. She comes to yoga when the challenges in her life seem too big or overwhelming. With a calm and clear mind after yoga she can face the challenges with a new perspective. A step-by-step guide to each pose is included at the back of the book. 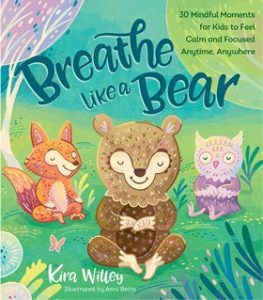 With a mindful movement or practice for each letter of the alphabet young children will learn about their breath, kindness, compassion, and gratitude. 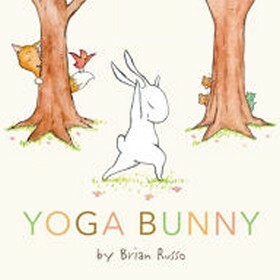 Yoga Bunny greets the morning with a series of yoga poses as his animal friends race by in grumpy moods. As Yoga Bunny continues to practice the poses his animal friends take notice and decide to join him. As moods shift, the animals have more positive thoughts and reflections. Can you roar like a lion? Flap your wings like a butterfly? Slither like a snake? 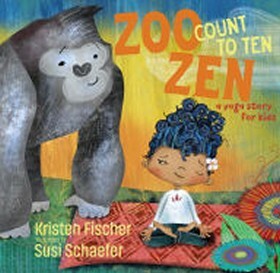 Join a little boy and his friends as they practice animal yoga poses in a garden. Fifty-six yoga poses are introduced that correspond to each letter of the alphabet. Airplane, butterfly, dog, waterfall, and lion just to name a few. 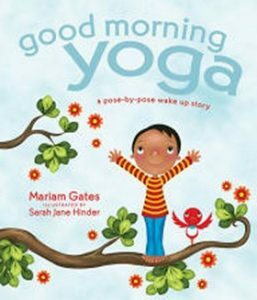 The series of yoga poses presented in this book is a wonderful way to start your day. Reach, stretch, breathe, and move first thing in the morning to promote wellness all day. 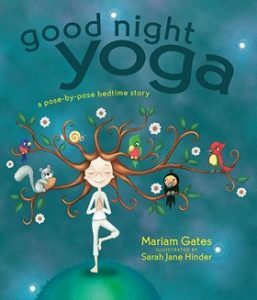 The series of yoga poses presented in this book is a wonderful way to end your day. Calm your mind and body in order to relax and rest peacefully. 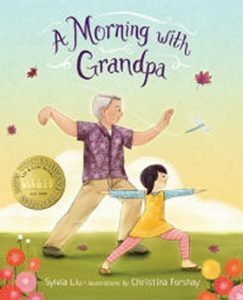 A young girl joins her grandfather in nature to learn Chi Gong, a flowing movement practice from China. The granddaughter then teaches her grandfather yoga. 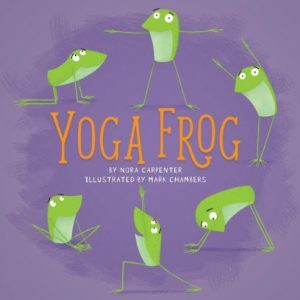 Yoga Frog has a sequence for children and adults to practice yoga together. With a warm up and a cool down Yoga Frog’s sequence is sure to engage the body and the mind. 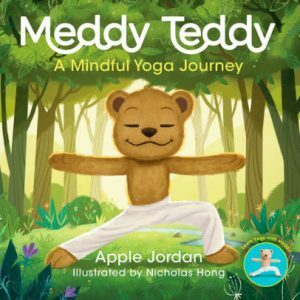 Meddy Teddy is a bear that practices yoga and meditation. Join Meddy Teddy in this yoga sequence designed to get the blood flowing, muscles moving, and mind clearing. 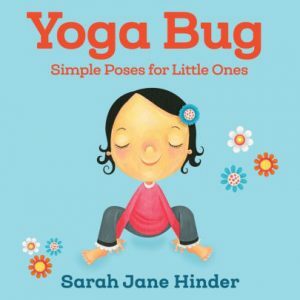 A series of 10 bug inspired yoga poses featured in this board book are sure to shake off winter hibernation and get children energized. 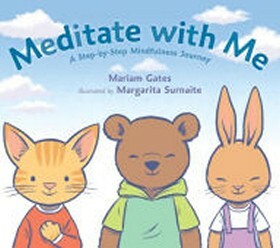 Playful illustrations of young children practicing the poses will help children to follow along. The entire yoga bug flow is included at the end. 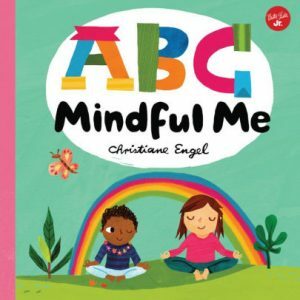 Thirty mindful moments for children are organized into sections such as be calm, focus, imagine, make some energy, and relax in this guide. Children and adults can practice these exercises anywhere. Detailed descriptions and colorful scenes with fun animal illustrations bring these exercises to life. Journey back in time to learn about the origins of the yoga practice in ancient India. 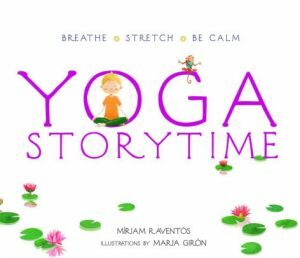 The history of yoga and poses to practice in real time with guidance make this a unique picture book. 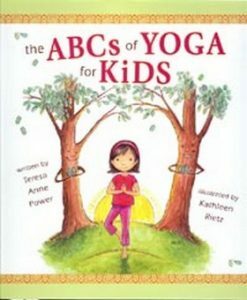 Inviting illustrations with authentic depictions of people practicing yoga in India, a reading guide, and pose glossary top off this book. The foundation of any yoga practice is a focus on the breath. Young children will be guided to sit and listen to their own breathing, sounds around them, and to explore their senses with eyes closed. 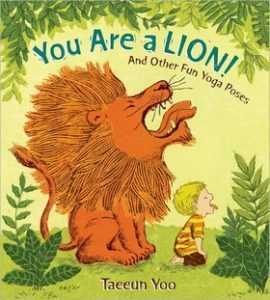 Balance like a bear, glide like a cobra, and roar like a lion with young Lyla as she rolls out her mat and practice zoo animal inspired yoga poses. Count each group of animals that greets Lyla on her mat! 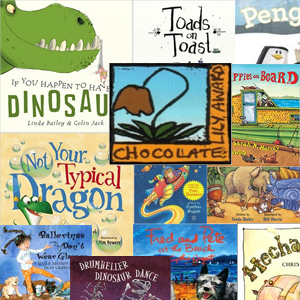 Previous Previous post: Thematic Reading List: Go! Go! Go!